Detectives are still trying to track down a man as part of a Southampton murder investigation. They're warning anyone hiding 23-year-old Kevin Suika from London could face jail. Police have made a number of arrests since Michael Freshwater was stabbed to death in Portswood, back in April. Michael's body was found at an address in Westridge Road at around 4.15pm on Friday 29 April. Hampshire Constabulary's Major Crime Team immediately launched a murder investigation. 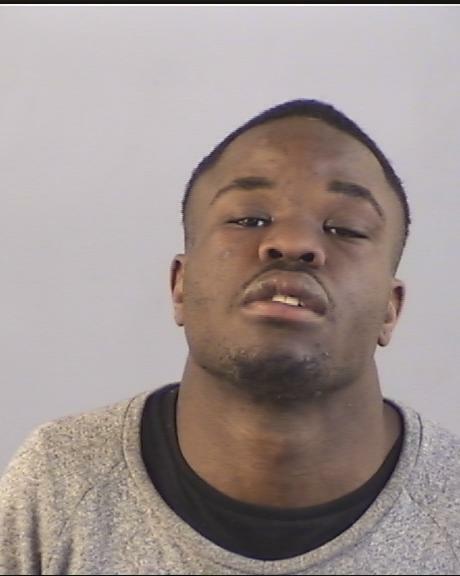 Last week, officers arrested a 28-year-old man from Southampton on suspicion of assisting an offender, conspiracy to supply class A drugs and money laundering in connection with the murder. The man has since been released on bail until August 26 pending further enquiries. The Major Crime Team continue to ask for public assistance in locating Kevin Suika. Police believe Suika has links to Gloucester, Southampton, Holloway, Bromley and Kent. Detective Superintendent Becky Riggs said: "This remains an active murder investigation. Suika knows we are looking for him and he should also know, we will not stop until we find him. "Anyone found to be harbouring Suika or assisting him in avoiding arrest should be warned that they are also committing an offence and may liable to a prison sentence. "If you have information as to Suika's whereabouts please call Hampshire Constabulary on 101, in confidence, and quote Operation Windless." Alternatively, people can call Crimestoppers on 0800 555 111 and leave information anonymously. Crimestoppers is offering a £10,000 reward for information leading the arrest and conviction of the persons responsible for Michael's death.